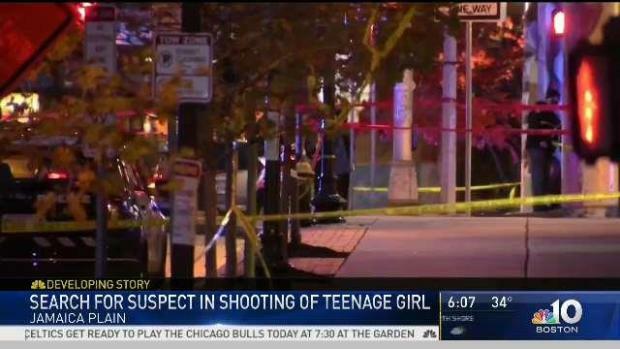 A teenager is expected to survive after she was shot in the upper body Tuesday in Boston’s Jamaica Plain neighborhood. Police Commissioner William Gross said a female believed to be in her late teens was shot around 3:11 p.m. near the Jackson Square MBTA stop. She was rushed to a nearby hospital in critical condition and is currently recovering. "Enough is enough, folks," Gross said. "You have a young woman shot in broad daylight. Us as a society should say that is enough." A driver who allegedly attempted to flee the scene was taken into custody for questioning after they crashed into another vehicle, according to police. It is unclear if the driver was trying to escape the gunshots or if they were involved in the shooting. 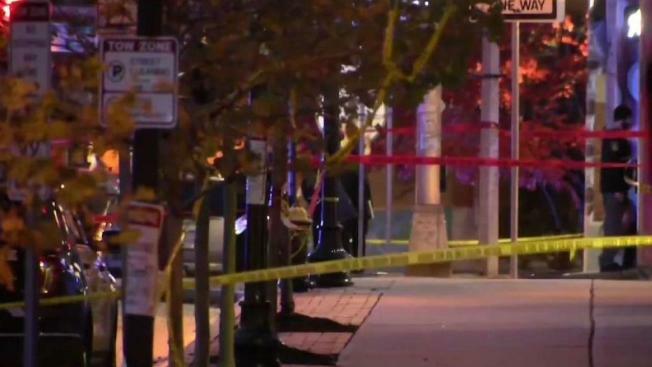 Police are continuing their search for a gunman who shot a teenager in Boston's Jamaica Plain neighborhood. Authorities are searching for the gunman responsible for the shooting. They did not release the victim’s name. Anyone who witnessed the shooting is urged to contact the Boston Police Department at 617-343-4470.